Experts in Computer Repair and Laptop Service. Whether In House, Onsite or Remote Service. MyTechMate provides timely and reliable Computer Repair for Homes and Businesses in Dallas and Collin Counties. We are a total solutions computer services company with an emphasis on quick to your site, second to none service. We can be trusted with your sensitive information during any computer crisis. From the simplest of problems to even the most difficult of situations, we are your number one choice for computer crisis situations. Computers, Ipads, Smartphones, Networks, Viruses, Internet Access, WiFi, Spam, Spyware, Email, Printing…..The technology is so complex that finding a computer repair expert capable of repairing your computer and network problems can be a real challenge. Restore slow running computers and email or internet issues. Upgrade to the latest and safest software and hardware technologies. 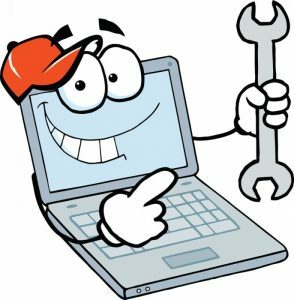 Laptop and Tablet repair requires a highly specialized set of skills. Our laptop technicians have the skill and patience to perform these highly precise and delicate repairs, from cracked LCD Screen repair to Power Jack repair. We are the expert Dallas Laptop Repair guys for both Windows and MacBook computers. MyTechMate provides on-site and off-site Virus Removal. 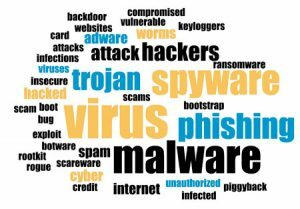 All Viruses, fake anti-virus programs, Spyware, Worms, Trojans, Root-kits and all other unwanted programs will be completely removed! Free Pickup, deliver and setup. On-Site Virus removal offers a quicker fix. Weather you need to re-establish business Continuity, or just get back on Facebook, MyTechMate meets all your needs with our incredibly competitive rates. Let us setup your in-home wireless network without breaking a sweat. 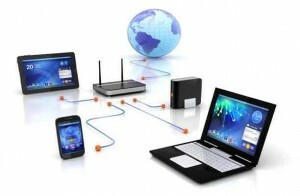 We can also get that tricky wireless printer working on your network without a problem. Internet running slowly? Printer doesn’t print? We will identify the issues creating system problems over the network and fix them. We can install and configure your printer, PC, or laptop on the network. Happy printing. Some computer problems just can’t be fixed immediately. Some require a long process, others may need proprietary equipment or advanced diagnostic tools. 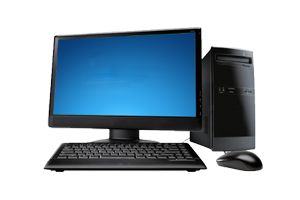 For these types of issues, MyTechMate will pick up your broken computer from your home or office to troubleshoot and diagnose these more complicated issues. We then deliver and re-install your computer at no extra charge. Pickup, Delivery and Re-installation are all free with our pickup, repair and delivery service. Let MyTechMate set up your new technology. We also install network equipment, internal computer accessories such as graphics cards, wireless cards, memory etc. Allow us to set your computer up with an effective backup procedure so that you can be assured your files are safe. Don’t let a computer crash ruin your business. We have partnered with Carbonite to provide computer protection & data backup solutions for your company. We offer a number of plans to help keep your business running smoothly. Are you having trouble setting up our Outlook or Thunderbird email client? We can set your email software up to do any number of things such as forwarding and remote backup.